In the previous article you had go through about ExpandoObject. DynamicObject is powerful than the ExpandoObject. Let us look at the below example similar to the previous article. AsExpando is an extension method which create object graphs based on XDocument elements.You can reuse this method in this scenarios. Once you create an instance of an Expando Object which is in the System.Dynamic namespace then you have ability to arbitrarily add things to these object. In the below code snippets I have create a new instance of ExpandoObject and add one property and method and then invoke that method. The DLR was created by Microsoft not only to support dynamic features in the main stream CLR languages but also to support new languages like Ruby and Python running on CLR running efficiently and effectively. DLR sit on the top of CLR and provide features these dynamic languages need like Call Site Caching. Call Site is the place you are performing some operations on a dynamic object. The DLR also supports other keywords such as Expando Object and Dynamic Object. This allows some interesting dynamic features n C#. Let me show you another great use of dynamic keyword for COM interop. If you done any automation of Microsoft office application in the past then probably you familiar of adding COM assembly in to your project. I am going to do this without adding the assembly using dynamic. Inside Console Application we have an Employee class defined with FirstName property and a method called Display(). 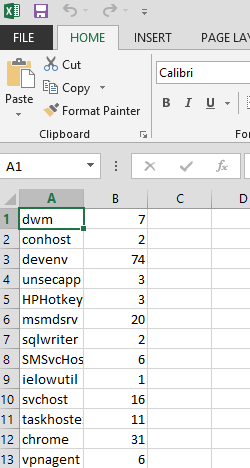 How can I invoke the Display () method? What we do when we don’t know the type of Display() method? Dynamic typed variable could give the same result with less code.Note that C# and Visual Studio doesn’t give the intellisense.In compile time Compiler doesn’t know about the Display() method only runtime can understand it. Our previous Console mode application don’t know about this because we not add the reference to this project. So that compiler doesn’t know about this assembly. We can also the Display() method by dynamically loading this assembly. dynamic keyword help us to remove type casting from our code, reflection codes GetMember(),GetType() and GetProperty() and the Invoke method that try to set and get things. All of these things clean up with the dynamic keyword. Many of us like static type checking in C# because compiler can find early. But static type checking does for strict the way of write some code .You have to have type definition and metadata available at compile time in order to get work done. Before C# 4.0 it is impossible to interact with the dynamic languages such as Ruby and Python . There are also difficult in some scenarios like to work with COM objects. Anyone who trying to interop from C# code to legacy code In COM often pain . Perhaps you have felt some issues while interacting with Microsoft Office COM components to automate Word or Excel. In C# 4.0 Microsoft introduces a new keyword called dynamic. A dynamic variable is a statically typed variable is a dynamic variable. When C# compiler see the dynamically typed variable it turns off compile time check. Any operation to perform on a dynamic object reference by that variable like calling a method , setting up a property all will resolve at runtime.